The chief hazard in Afghanistan for Australian army Lieutenant Marcus Case should have been boredom. As far as military roles went in the Afghanistan war of 2001–14 went, his was relatively safe: a remotely piloted aircraft operator, (although even these were sometimes deployed close to the enemy in forward observation patrols). But three weeks after arriving in the country he lay dying on stony Afghan soil, killed in a helicopter crash that should not have happened. Late in the fourth oscillation, the aircraft commander ignored what he had been taught and took the controls. He was able to recover level flight but could not stop the helicopter from hitting the ground in this attitude. The Chinook rolled after impact and caught fire. Lt Case and a helicopter crewman were sitting on the edge of the Chinook’s loading ramp when the pitch-up occurred. They retreated to the interior of the aircraft but only got as far as the hinge of the ramp. The bloodless language of the official report is perhaps best for describing what happened next. In the course of the aircraft’s oscillations, Lt Case became weightless above the aircraft ramp in the vicinity of the hinge due to G forces and the edge of the aircraft ramp. Lt Case could not recover or be recovered from this position outside the aircraft and suffered a non-survivable injury when the aircraft crashed and impacted his person. The Boeing Rotorcraft Systems CH-47 Chinook is a tandem-rotor heavy lift helicopter and has been in military service since the Vietnam War. Boeing’s helicopter division traces its ancestry back to the Vertol Company of Philadelphia, US, and ultimately to Frank Piasecki, the originator of tandem twin-rotor helicopters. The CH-47D model used by Australian, US and British forces in Afghanistan is valued by its military operators for its lift capacity and performance, with its turbines providing 2200 shaft horsepower more than the early-series aircraft. The Chinook’s tandem rotors give a wide range of acceptable centres of gravity increasing the helicopter’s versatility. However, like all tandem-rotor helicopters, the Chinook is fundamentally unstable in pitch. In engineering terms it is ‘statically and dynamically’ unstable. A Chinook in flight will not automatically return to its trimmed state after a disturbance such as a wind gust—static instability—and once disturbed it will engage in increasingly large oscillations from its flight path—dynamic instability. These instabilities are a fact of life on all helicopters, including tandem-rotor helicopters where they are a consequence of aerodynamic interference from the forward rotor to the aft rotor. The CH-47D uses an advanced flight control system (AFCS) to manage its inherent instability. The AFCS is, in effect, a fly-by-wire system, that is analogue on the CH-47D—introduced in 1979, and digital on the later model CH-47F. In both cases the system makes its own control inputs in response to minor disturbances and deviations. The AFCS computers (there are two) drive has actuators that move the control surfaces, independent of the pilots. There are two types of actuators: the extensible link actuators (ELA), which move the control surfaces in response to AFCS computer signals; and the differential air speed hold (DASH) actuator. The differential air speed hold (DASH) actuator is an automatically extending control rod that is needed to correct a nasty characteristic of the CH-47: in flight faster than 40 kt, it has a negative stick gradient, meaning the cyclic stick moves backwards; counter-intuitively, to say the least. The DASH actuator cancels this unnerving characteristic. It has a larger range of movement but a slower rate then the ELAs. It works primarily to push the stick forward, but also has a pitch-damping role. Firstly, the Chinook can be flown without it—earlier versions made do with a simpler stability augmentation system. 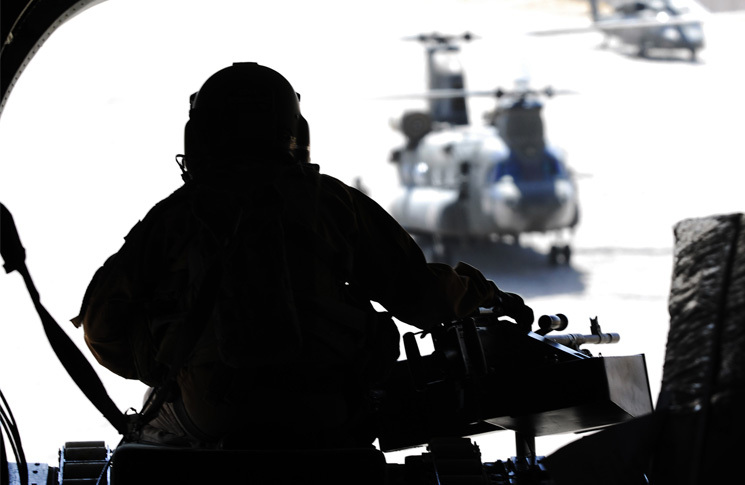 But flying with the AFCS off requires continuous small corrections from the pilot, which increase workload, dangerously so at night, or in what the military calls ‘degraded visual environments’. The second point is that the AFCS and its actuators can be overwhelmed by substantial upsets, a large ‘bump’ for example. In that case the pilot must correct the upset. ‘Saturation’ of the AFCS is more common in the roll axis but seldom experienced in pitch or yaw. The third point is that AFCS operation is not felt through the flight controls. There is another way for a Chinook to go into oscillations. The pilot can cause them. Pilot-induced oscillation, also called over controlling or chasing, can happen in fixed- or rotary-wing aircraft, but is a phenomenon that usually lessens as pilots gain experience and skill. The way to correct a pilot-induced oscillation is to make no control inputs—the exact opposite of the action required to correct an externally caused upset. Rotary Wing Group 6 had experienced two previous pitching incidents with its Chinooks. Colloquially they were known as ‘porpoising’, and were considered serious enough to have been discussed in a safety and standards meeting, held four days before the fatal crash. 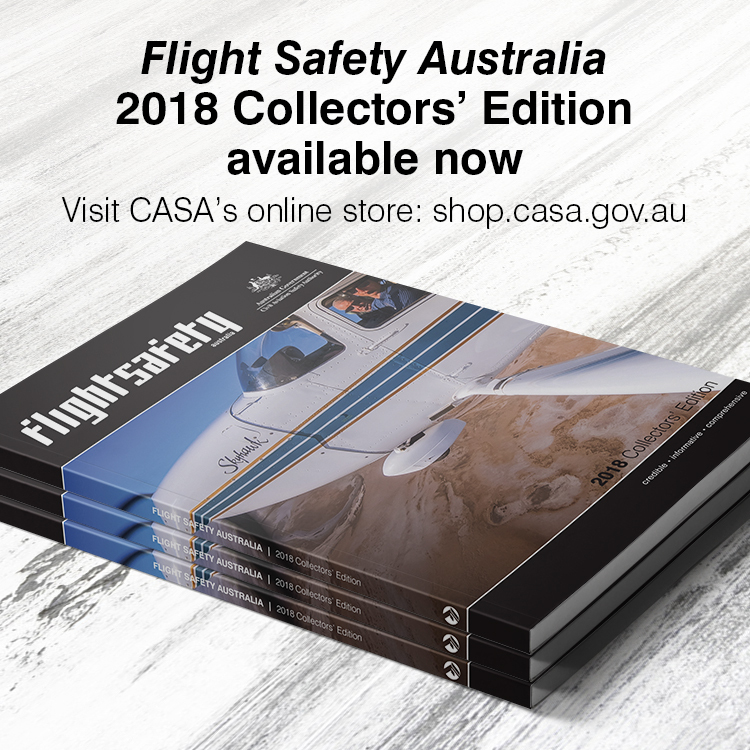 Other rotary wing groups that had been in Afghanistan earlier had also experienced porpoising but these had been reported in an informal ‘aviation incident book’ kept on base rather than going into the formal aviation incident occurrence report (ASOR) system. The pilot of Brahman 12 had experienced two pitch oscillations during his training, both of which were attributed to pilot-induced oscillation. No one in army aviation challenged or questioned this understanding. Instead they shared it. When the pitching and diving started the pilot did what he had been trained to do. Only the instinctive action of the other pilot (who also believed the correct response was to freeze) prevented a worse crash. RWG 6’s pilots were not alone in their ignorance. There was no formal guidance for handling pitch oscillation in the CH-47D flight manual, pilot’s handling notes, or standards manual. The Defence Force Commission heard that AFCS saturation ‘was not taught or understood by the vast majority of the wider Chinook community,’ including in the UK and US. Some information did flow, after the fact. Boeing released Service Note 145-092 to address the issue of Chinooks being flown by pilots with an ‘inattentive flying technique’. There were several other factors in Marcus Case’s death: why he was allowed to ride on the loading ramp (and why he was on board the aircraft at all), and how well his restraint system performed. Ramp riding on helicopters had become so common in Afghanistan that the inquiry heard most who were privately uneasy at the practice had assumed it must have been permitted. This was despite no fewer than eight policies, special instructions, directives and glossaries covering the subject of operational contingency loading, (OCL). Although OCL is a necessity in wartime aviation, the documents explicitly restricted its use. Formally, at least, it was recognised as an elevated risk. In practice, the OCL system had become flexible to the extent that any function the passenger carried out was routinely described as being essential to the conduct of the mission. The reason for Lt Case’s flight was that as a drone systems operator, an understanding of the Afghan landscape would be useful. Tandem-rotor helicopters are exceedingly rare in civil aviation, but this crash holds clear lessons for all pilots regardless of uniform. Indeed the lessons are applicable to anyone who manages or maintains aircraft. Safety depends on accurate knowledge, be it of weather, fuel state, terrain, or, in this case, aircraft handling characteristics. And accurate knowledge depends on accurate, timely, information. Automation, and the insidious way in which pilots can become dependent on it, was an issue in this crash, as it is in many areas of civil aviation. When Brahman 12 hit the ground it was the last act in a tragedy, which had begun much earlier and very quietly, with normalisation of deviance, unquestioned assumptions, lack of information flow, and their inevitable consequence—the wrong response.